Mrs. Orman's Classroom: Teachers: You Are Appreciated! Happy Teacher Appreciation Week, Teachers! The quotes above are to remind you that you ARE appreciated! Here are some others that make me laugh. (Either because they are so absurd, or because they are sad but true. 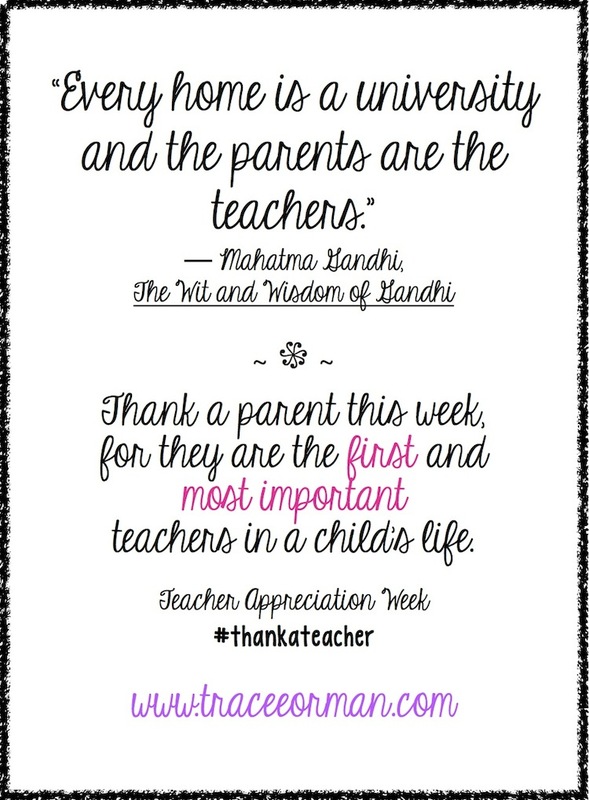 And let's not forget to thank parents this week, because they are so important in a child's life. To THANK all of you fabulous teachers, head to my teacher store to enjoy 20% off, plus an extra 10% when you use code TAD13 at checkout. The sale begins tonight at midnight and ends Wednesday at midnight.